Aulora Pants With Kodenshi In Australia – How To Buy Online? Is it possible to buy the Aulora Pants with Kodenshi in Australia? Yes it is possible but you have to place your order online through an Indendent Business Owner (IBO). The Aulora Pants with Kodenshi is one of the most popular health and wellness pants in Malaysia and Singapore. It was officially launched back in September 2017, and as of December 2018, more than 330,000 pieces have been sold. The pants popularity also extends to Singapore, Brunei, Hong Kong and even Australia. The popularity of the Aulora Pants in Australia is because there are a lot of Malaysian and Singaporean staying, working and also studying in Australia. Malaysian and Singaporean in Australia most likely were exposed to the pants from reviews and testimonies shared on their friend’s Facebook and Instagram feed. The legging is 100% designed and made in Japan and imported by BE International Marketing located in Shah Alam. As of today, BE International has sales office in Malaysia, Singapore and Brunei. New sales offices in Hong Kong and Indonesia will be setup in 2019. The pants is marketed and promoted through a network of BE International Independent Business Owner (IBO). 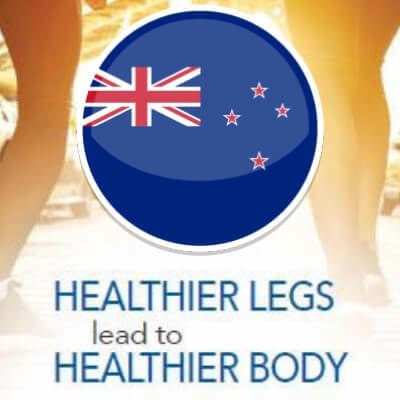 So how do you buy the pants in Australia? If you are a Malaysian living in Australia, the process is quite simple. As long as you have a Malaysian bank account, you can buy the pants by doing an online bank transfer to the IBO. BE International will only do delivery within Malaysia and Singapore. For orders in Australia, the IBO will request BE International to deliver the package to them in Malaysia. The package is then be repacked and send to your Australia address using TNT Express or Fedex. Of course you have to pay for the additional courier charges to Australia. If you don’t have a Malaysian bank account, alternatively, you can use Western Union Online to transfer money to the agent. The good news is using Western Union Online, the international fund transfer fee is not expensive and the fund transfer will be done within 3 working days. Before you place your order, you have to know your pants size. Use the table below as a guide to determine your size. Just take the measurement of your hip and waist will do. You don’t need height measurement unless you are very tall. After you have determine your pants size, inform the IBO and do the necessary bank fund transfer. Remember to provide your name and also your address in Australia. After your order has been placed, the IBO will send a tax invoice to you through WhatsApp. 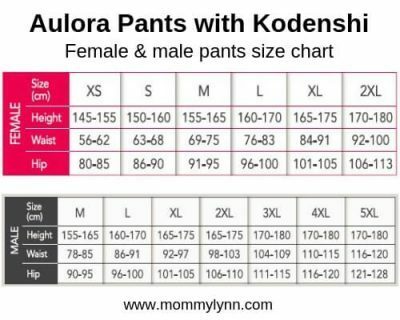 Are you interested to buy a pair of Aulora Pants with Kodenshi and have it delivered to Australia? If you are, just click the link below to contact me through WhatsApp and I will assist you.